The IWC came together in the summer of 2014 in response to the overwhelming need of unaccompanied children coming to the United States from Central America. In response to the crisis a broad network of faith communities and community organizations began working closely with RAICES, a nonprofit organization who are the legal advocates for refugees and asylum seekers. The work evolved and now the IWC collaborates with many organizations serving refugees, asylum seekers and at risk immigrants and serves as advocates for the needs of these vulnerable populations. 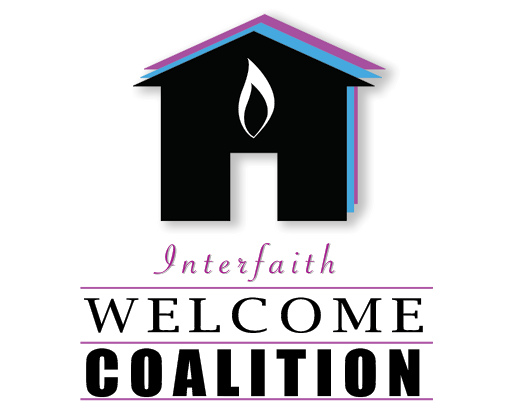 Interfaith Welcome Coalition (IWC) is a faith-based movement meeting the changing needs of asylum seekers, refugees and at-risk immigrants in collaboration with others. We value the basic human dignity of all people. We value listening to and sharing the stories of the people we serve. We value seeking justice and fairness on behalf of those in need. We value our shared faith which inspires us to welcome the stranger. We respond to the needs as they present themselves and as they change. We provide basic support to people on their journey. We educate and advocate to change the systems that impact immigrants. Educate ourselves and others on immigration issues. Become aware of organizations which work with at risk immigrants, collaborate with them and support their work. Engage in advocacy activities related to at risk immigrants. Allocate funds to provide material support for asylum seekers and at risk immigrants. Recruit volunteers and provide funding for IWC service programs that serve the immigrant community.